It is a common fact that the internet is full of scammers. They are prowling like lions waiting to deceive and devour those innocent novice souls looking for ways to make money online. It is not therefore surprising that scammers also target affiliate marketing as it is one of the most lucrative home-based businesses progressing at a commendable pace. Of course experienced and well acquainted affiliate marketers need not to be bothered as they can easily spot even from a distance whether an affiliate program is legitimate or a scam. Don’t expect to be immediately bringing in $10,000 a month. It is possible to earn decent money by setting up affiliate marketing websites but it takes time and effort. Different products sell in a different ways, and it takes time before you find your perfect niche. Also, you have to consider that experience is a great factor on your success in the world of affiliate marketing. The more you have experience and knowledge, the better you’ll do. As a beginner you must be patient, focus on it and you’ll see your profits rise as you gain more experience. Before signing up with an affiliate program you should do a thorough research about the company’s background. You can conduct an online research by typing the affiliate program’s name on Google search box. Include the term scam on its end and this will help you determine if the program has been involved with any fraud. For deeper probing you can join message boards and online forums about affiliate marketing. Discuss about your prospected affiliate program and collect feedbacks. If there are more of negative reactions then the program should be avoided. If the overall opinion is more on the positive side then the program can be good. If you’re just entering the world of affiliate marketing, it might be a good idea to stick first with major companies like Amazon or Clickbank until you learn the trade. There are less trustworthy affiliate sites out there, looking to have affiliate marketing done that might not deal with you in a completely honest manor. It might be wise to go with bigger affiliate corporations that you know will pay out and treat you with respect. You may not want your first marketing effort to be a bad one. You can then move into finding other affiliate programs when you have learned the ropes of affiliate marketing. The affiliate program must have good support. They should answer emails promptly and have valid contact information. They must have a valid offline address. Percentage of commission; 30% and above is the best. The tracking system should be in real time and accurate. The products should be well targeted for your market and of high quality. Since affiliate marketing has become increasingly profitable in recent years there are companies out there that will try to scam you. 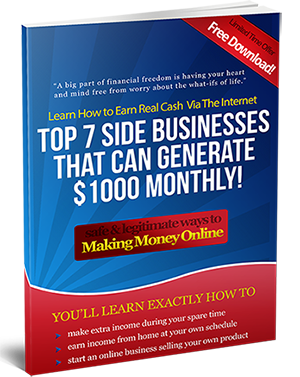 Experienced affiliate marketers know most of the tricks of the trade and easily identify which are scams. If you are new to the affiliate marketing industry, it might be better to stick with familiar companies until you figure out the best advertising cost/revenue balance. Wow!!! Great Tips to Avoid Affiliate Scams. It is great to start a home based business as it requires very less capital or sometimes no money at all. So one of the greatest ways in doing so is affiliate marketing. Thanks for the information you shared.